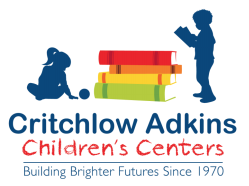 The Preschool Site (PSS) of Critchlow Adkins Children’s Centers offers year-round, full day two year old, preschool, and pre-kindergarten programs. The PSS is accredited by the Maryland State Department of Education’s (MSDE) Early Learning Division and licensed by MSDE’s Office of Child Care. In addition, the pre-kindergarten program is MSDE approved as a licensed non-public nursery school program. All programs operate from 6:45 a.m.-5:30 p.m. Please note that we also offer programs for 2,3,and 4 year olds at our Cordova and St. Michaels sites. The teachers use the same theme based curriculum, but implement using a differentiated approach for age appropriateness. The school year program follows the same schedule as the Talbot County Public School Pre-Kindergarten, with quiet/nap time and enrichment activities in the afternoon. Fun-filled days of swimming lessons, arts & crafts projects, outdoor play, center play, cooking projects and field trips for the preschool and pre-k programs describes the PSS summer program.